Integrated print management software ensures printed documents are secure and remain confidential. Secure printing for any organisation is vitally important where sensitive information is concerned. 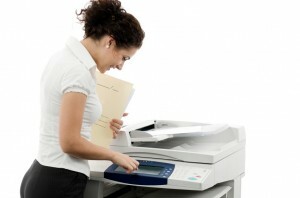 Using secure print tracking software is essential in maintaining an organisations credibility. Any breaches of the Data Protection Act of 1998 can lead to fines issued by the ICO (Information Commissioners Office). Professional services companies and local government organisations are particularly susceptible where client data is concerned. The days when reams of paper were left discarded at the printer should be long gone; leaving confidential information for anyone to pick up and read is careless in today’s office environment. Sensitivity of data is paramount particularly in departments of local government such as childrens’ services who deal with sensitive data on a day to day basis. Implementing a secure print management solution and secure network printing ensures that only the person who prints the information can collect and view it using user authentication. For one City Council this proved to have a serious effect on the department and yet the situation could easily have been avoided. Two case workers who work with vulnerable children, printed reports to a shared network printer with no secure print software in place. The first case worker was trying to print a report on child A but the device failed to print, the case worker left with the print job still in the print queue. The second case worker then went to print a report on child B from the same device by which time the first case workers report had actually printed. Both prints outs were collected by the second case worker who mistakenly and unknowingly picked up papers relating to child A. As a consequence of this, the mother of child B was sent personal details of both child A and child B. This was reported to the ICO and the city council. The mother of child A was also contacted by mother of child B and advised of this breach in confidentiality. This incident happened because of human error; it wasn’t done intentionally but in this instance it caused embarrassment to the council. The incident was further compounded by the lack of secure print management software. 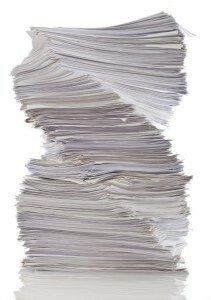 The printing and despatch of sensitive data to clients did not include adequate checks. As a direct result of the mis-management of information the council installed a new printing procedure requiring staff to enter an ID at the device before their documents can be printed and released. Any documents which are not printed within twelve hours are auto-deleted from the print queue. This removes any unwanted print jobs from the system. Setting up print management software that networks printers and MFPs (multi-functional printers) is the the most effective way for safe guarding against print mis-management which can potentially lead to data protection breaches. Print tracking software saves time and money and is the easiest way of avoiding data protection breaches. If you require more information on how setting up a secure print management solution or print tracking software can help your organisation save money, enhance confidentiality and reduce print costs then contact Digital Print Management on: 01234-271156. You can follow us on twitter, facebook and connect with us on linkedin for regular updates and news. A very nice article and Yes secure print tracking software is very beneficial in making organization security. Even the benefits of management software are so good.Any documents which are not printed within twelve hours are auto-deleted from the print queue. This removes any unwanted print jobs from the system.